A Co Tyrone man questioned over the killing of Constable Ronan Kerr has publicly denied involvement in the attack and condemned his murder as “sad and wrong” . Brian Carron (26) was questioned for 14 days about the murder of the Catholic policeman in Omagh on April 2. On Wednesday he was released without charge. Mr Carron condemned the murder of the 25 year-old policeman but claimed that his life had also now been put in danger after his name and photograph were published by a number of media outlets. “I condemn what happened to Ronan Kerr,” he told the Detail. “It was sad and it was wrong, but I had nothing to do with it and the police know that. “Sections of the media had me found guilty as soon as I was arrested. “My name, photograph and address were splashed across the tabloids. “My mother’s photograph was used without her even knowing. “Photographs of both our homes were strewn across the media without our permission. “Neill Lennon has been sent a bomb in the post simply because he’s the manager of Celtic football club. “Myself and my family were portrayed as `Public Enemy No 1’ so what’s going to happen to us. “We don’t know if we’ll have to move home. “I will never be able get a job again. The father-of-two, who has no criminal convictions, was arrested in Scotland four days after Constable Kerr’s murder and flown back to Northern Ireland. “I had only gone to Scotland to start work building houses on the Sunday, the day after the bomb attack. “That’s why I was cleaning up around my house before I left, so I could leave it tidy for my partner and my kids. “Myself and the guys I was working with went over on the boat to Scotland on the Sunday and as soon as we got off the ferry we were stopped by police. “I gave them my name and told them what I was doing. Three days after the policeman’s murder weapons and explosives were found on an industrial estate close to Mr Carron’s Coalisland home. His home was later searched by police. “My father phoned me to tell me that my house had been searched and that my partner and two young children weren’t allowed back into the house. “I said I’d come home straight away but he told me to stay in Scotland in case I lost my job. However the 26 year-old was arrested the following day as he left the building site where he was working for lunch. He says that he was refused access to a solicitor before being informed that he was being flown back to Northern Ireland. Within hours the 26 year-old was brought to Antrim PSNI Station where he was rearrested in connection with the murder of Ronan Kerr. He became the first person in Northern Ireland to be questioned for 14 days under anti-terror legislation before being unconditionally released without charge on Wednesday. The 26 year-old says that during questioning he gave police a full account on his movements before and after the policeman’s murder. However, it is understood that the decision by some sections of the media to publish a photograph taken from his facebook site could have jeopardised any potential court case if Mr Carron had been charged with the policeman’s murder. 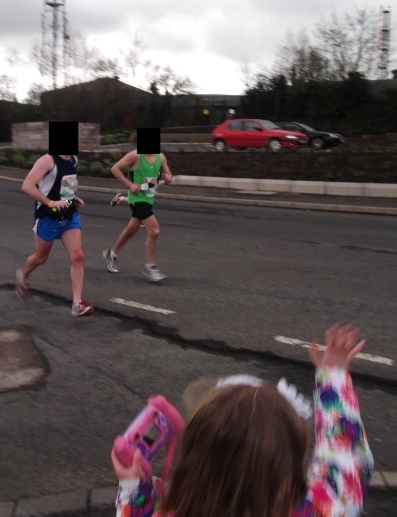 The Detail has learned that following the publication of Mr Carron’s photograph in the media a witness came forward and claimed that she had seen him sitting in a van parked close to the policeman’s home as she took part in a charity run on the day of the murder. The witness is understood to have failed to positively identify Mr Carron during an ID parade. It later emerged that the witness had come forward after seeing Mr Carron’s photograph in a newspaper article which had identified him as a murder suspect. Mr Carron’s solicitor Peter Corrigan insists that the identification would have been deemed inadmissible and unsafe in any murder trial. However Mr Carron’s mother Dolores claims that the Kerr family have been let down by the actions of the police and elements of the media. “My heart goes out to Ronan Kerr’s mother and his family,” she said. “But the police know my son didn’t have anything to do with that young man’s murder. “They just wanted to get someone for it and my son was an easy target. “But two wrongs don’t make a right. ``While Brian was being kept from his terrified children and partner for two weeks, the police could have been out trying to catch the real killers. However Mrs Carron claims her family have become the victims of a media “witch-hunt”. “There was a media frenzy to have Brian hung, drawn and quartered as soon as he was arrested. “My son could have easily ended up like the Birmingham 6 or Guilford 4, being charged for a murder he didn’t commit. Solicitor Peter Corrigan raised concerns over the use of increased anti-terror legislation to detain suspects for up to 14 days. “Even during the worst of the Troubles the police were only allowed to detain people for questioning for seven days,” he said. *Brian and Dolores Carron requested not to be photographed due to a potential libel action against a number of media outlets.